A VERY RARE opportunity to own 15 very private acres of property with 700 +/- feet of waterfront on the winding, scenic Myakka River. This secluded property is being sold as a package deal of 3 buildable lots with ancient oaks, quartzite sand and the ever changing Myakka River. This property has the charm of Old Florida and is the perfect property to build your dream river home. In Manatee County, property extends to the center of the river. If you are looking for a piece of property that is away from the hustle and bustle of city life, it doesn't get ANY better than this. 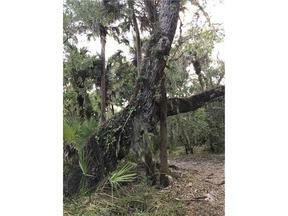 This VERY RARE opportunity to own property on the Myakka River will not last long!